Update: Step by step, we made it happen!!!! CHRISTMAS CAME IN JULY! July 19th: WE DID IT! 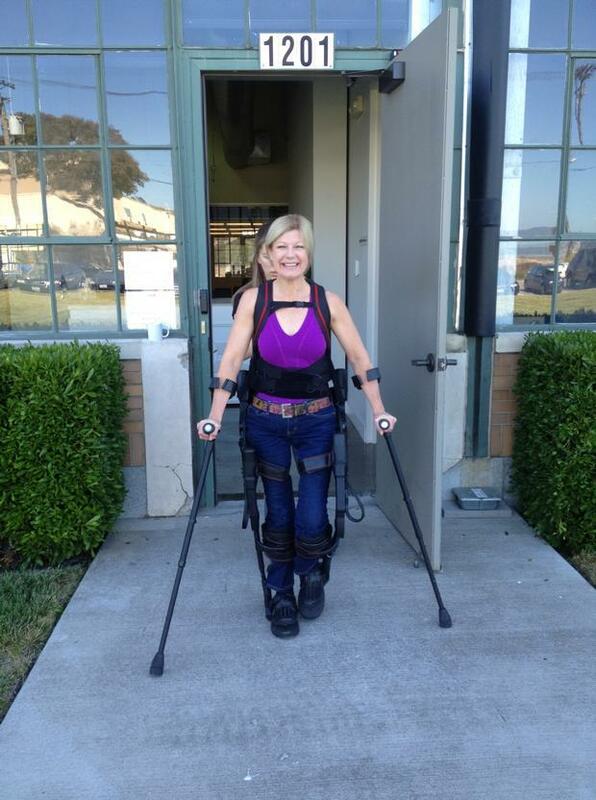 With your help, I received my very own Ekso, a bionic exoskeleton suit, to help me walk again. Words cannot express my sincerest thanks to EVERYONE who contributed to making this dream a reality. I’m PAIN FREE!!!! Today’s session ending the first week (4 days of walking): 928 steps in 27 mins walking time and 45 mins standing up. Total steps in 4 days of walking: 5,515!!! I’ll need a new pair of shoes soon! I haven’t worn out a pair of shoes in 21 years of paralysis. Now that I have my own Ekso, I still need to raise the funds to pay for two licensed physical therapists to walk with me to ensure safety. I anticipate raising an additional $13,000 ($50/day x 5 days per week for a year). Your ongoing support is appreciated. I will post videos to keep everyone up to date with my progress. I thank all of my contributors, and I thank my community for their loving kindness and belief in my journey. The children from Imagine XO helped this dream become a reality. Imagine XO was created to inspire philanthropy in children through love, hope and giving. Now they are seeing first hand how they can make a difference in someone’s life. Dream Big. Never stop believing. With hope, love and giving we’ve turned the impossible into possible. 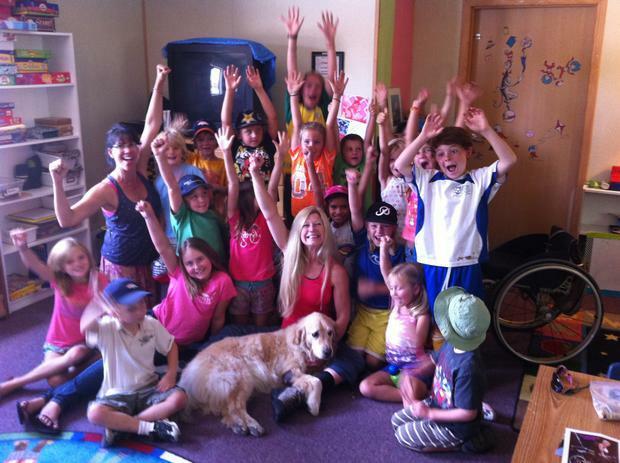 Visit Imagine XO inspired by the child visionaries from Camp Run-A-Muk to learn more. This short film, by filmmakers Austin and Maitland Lottimer (Bujin Productions), was created to help me reach my fundraising goal. Amanda’s Hope: If someone asked me if I could have one thing in this world that would improve my quality of life and inspire me to jump out of bed each morning knowing that I would feel better, my immediate answer would be plain and simple, “Ekso, please.” That dream has become a reality! 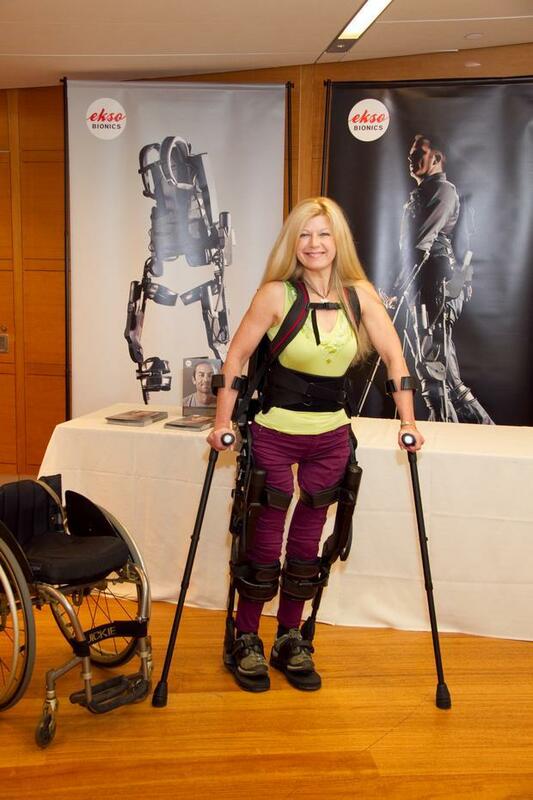 Before using Ekso, I could only imagine my world without pain, without edema…imagine having weight bearing on my limbs, walking perfectly aligned in a natural gait. When I walk in Ekso, my pain dissipates completely, my edema goes, and my bladder and bowels function more regularly. Incorporating Ekso into my daily routine is turning my dreams of walking into a reality. Call 800.642.8399 or select DONATE NOW. My wishes can become a walking reality with a dollar a step. Anything is possible. Thank you for believing in my journey and for your contribution. Love You Amanda, wanna see you with ekso ASAP... Soon You will reach your goal.